An experimental display of works in progress. This work addresses my conscious responses to spending time in a place, reflecting through a combination of object, text, photo and the experience ‘being in’ that occurs through the action of walking into the gallery; the aim is to create a dialogue that will question what influences the understandings of the complex nuances of all that surrounds us. 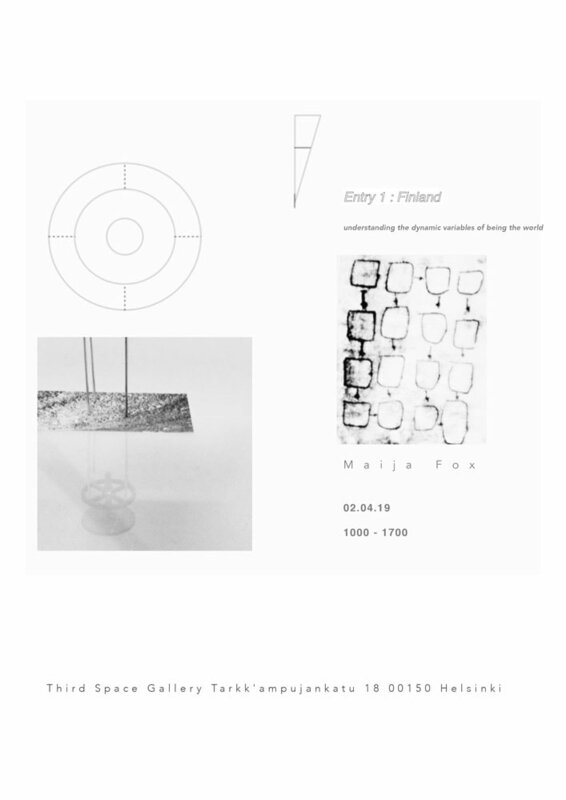 This is the first visual display showing the process of understanding though the use of diagrams and algorithms to consider each element that effects the notion of being -Finland being the initial input to test and explore this idea. I will be showing the site specific algorithm created to reflect a process that is responsive to the conditions and characteristics of my surroundings here in Finland; a consideration of the dynamic variables that affect my understandings and perceptions of place/space, the variables that are dependant on the time, location, culture and the individual. As a component of this entry I have constructed a circular table and rotatable stool to be used as devices that will encourage the process of thought as a direct response to my environment. The table is thoughtfully built to enable a 360 degree view of my surroundings and adapted to consider the characteristics of the Finnish landscape in winter. The action of being in a space and documenting through writing a cognitive process of learning and discovery; to think and recognise the elements that ignite my thoughts within this landscape. To collect the observations of what is happening when its happening. I will be experimenting and testing the visual display in Third Space gallery, playing with the presentation of what I have collected from the endeavour of being in the landscape and writing as a direct response to deepen my understanding through question and observation. Maija Fox (BA Sculpture & Environmental Art @ Glasgow School of Art) is a visual artist whose work addresses the responses to being in and spending time in places/spaces though mediums that become apparent during the process of understanding specific environments. 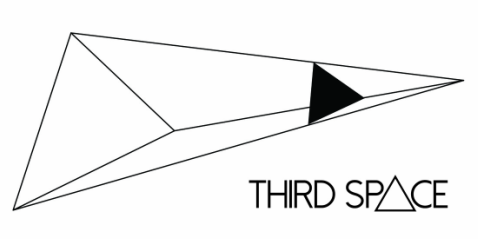 Audio, text, installation, performance, sculpture or video. Maija dissects her experiences of being in the world through conscious development and site specific research to better understand the complex nuances of all that surrounds us. Maija looks closely at the connections and correlations of human and nonhuman, the rational of everyday space, and the questioning of what effects our minds portrayal and understandings of the surrounding environment. Maija's work is influenced by the characteristics, conditions and meanings that can be established through time, thought and research; investigating to communicate a sensitive narrative to her personal understandings and encounters that have ultimately occurred as a result of her being in the world.